Tracy Mathis serves as primary or special counsel to regional health care organizations such as hospitals and physician groups. She advises governing boards and directors with respect to their responsibilities, obligations, and duties to each other, their shareholders, members, and other constituents as well as to applicable regulatory authorities or other third parties with supervisory functions. She assists clients in developing innovative relationships between hospitals and physicians, through analysis and alignment of business objectives with anti-kickback, self-referral, and other regulatory requirements. Tracy also counsels institutional health care clients on medical staff, credentialing, peer review, and disciplinary matters as well as on strategies to manage risks and reduce costs associated with professional liability. When developing strategies with clients, she works to maximize reimbursement under public and private payment systems and compliance with policies and procedures. Tracy taught courses in health care transactions while an adjunct professor at Saint Louis University School of Law, authored several publications on health law topics, and regularly speaks on such issues. In addition to serving on various boards, she is a founding director of the St. Louis Area Health Lawyers Association and is a member of several professional organizations dedicated to health law. 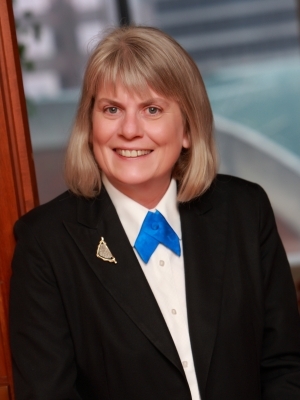 Tracy is AV® Preeminent™ Peer Review Rated by Martindale-Hubbell, was selected by her peers for inclusion in The Best Lawyers in America® 1991-2019, and was selected for inclusion in Missouri & Kansas Super Lawyers® 2005-2008.